As previously promised, Russia is cracking down on VPN services, with a new law that comes into force today giving the government fresh powers to ensure that websites that it wants blocked, stay blocked. As you may be aware, VPNs can be used to access sites which are banned in a particular country, by giving the user an IP address that makes it appear that they’re based in another country. But the new legislation combats the circumvention of such content restrictions, by requiring VPN providers to put a hard block on websites which Roskomnadzor (the Russian government communications watchdog) has deemed should be censored. In short, a VPN will no longer be an effective way to get around such government censorship – providing that VPN services enact the law as required. 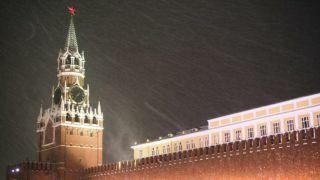 If the VPN provider refuses to register with Roskomnadzor and implement the watchdog’s blacklist of sites within a month, those services will be blocked, as The Moscow Times reports. Last month, search engines were also banned from displaying results for government blacklisted sites. Over in China we’ve also seen tighter anti-VPN measures come into play throughout the course of this year, with the government starting to implement measures that only allow ‘approved’ VPNs to operate, and pushing Apple to remove certain VPN apps from its App Store.